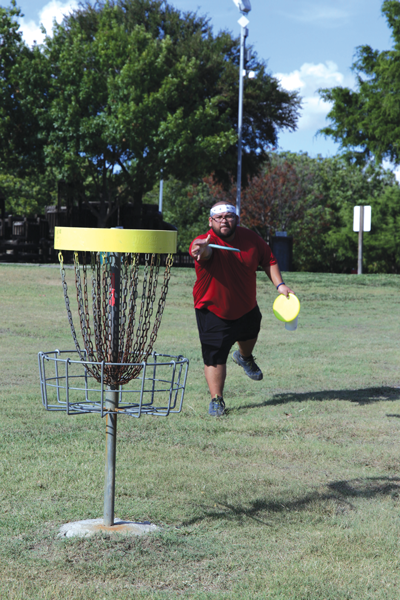 approved a disc golf course for the main Eastfield campus. Facilities are considering possibilities for where to put the course. The popular opinion is to place the course around the entire campus. Hernandez to a local park to teach him how to play. growing up playing a variety of sports including football and soccer. players to throw from the top of the stadium seats to the star in the middle of the field. regained use of his legs, it caused him tremendous pain. He ended up not being able to play for four months after the accident. The thought of being back on a course playing the game he loved is what kept him motivated.